The 32-mile long Lake George is a truly unique shape and this has not gone unnoticed by local artists and shops! Whether you're a local who'd like to sport your hometown pride, or you love visiting Lake George and would like to take a piece of the area home with you, there are several places in the region where you can buy fantastic products sporting the shape of Lake George. Check out the following shops to find an array of products sporting that special shape. These are excellent conversation pieces to have around the home, to sport on your car, or to wear as a tee-shirt, hat, etc. They also make great gifts! Live Love Laugh carries a variety of gifts, including hand carved decorative wooden boards with the shape of Lake George. You can also find Adirondack-themed gifts, resortwear, inspirational signs, fleece blankets, and more. Live Love Laugh is right in the heart of Lake George on Canada Street. 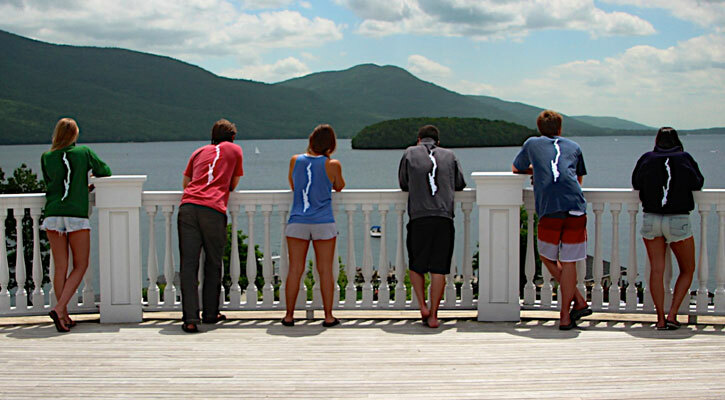 The Lake George Association sells decal stickers of the Shape of Lake George right in their office. They will mail them out when requested, but they really like to encourage the public to come in and visit with them. "The stickers have done a fabulous job of bringing awareness to the lake," Patrick Dowd, Communications Director of LGA, told us. "But I'd like it to also bring awareness to boating safety and the preservation of Lake George." LGA has a ton of great information on boating safety and more details on the lake right in their office, which is off Route 9N after you take exit 21 of the Northway. You can find key rings and other products with the shape of Lake George at the Cleverdale Country Store in Queensbury on the eastern side of Lake George, south of Buck Mountain. You can find Love is on Lake George online through LoveIsInNewYork.com, where Kathy Miller sells a number of items with the shape of the lake: clocks, mirrors, hats - even bottle openers! Local in Bolton Landing offers jewelry, clothing, gifts, and accessories with the shape of Lake George. Designer Sara Pfau can even design a custom piece of Lake George-shaped jewelry! Her brother, Domenick Pfau, owns Local. 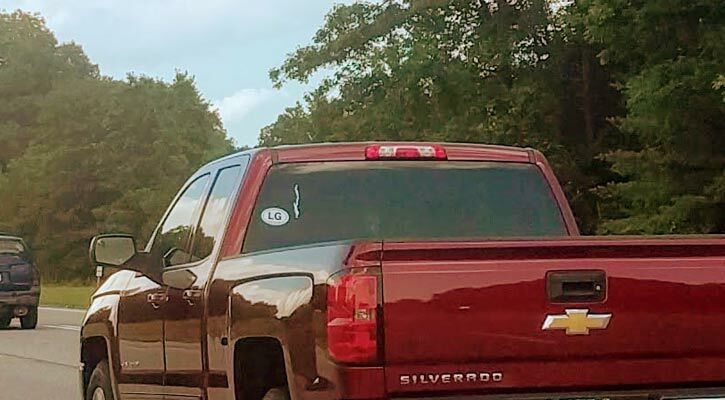 The store began sporting the Lake George decal back in 2013. But be warned - the jewelry designs are very popular! If you get one custom designed you'll likely be looking at an eight-week wait. In the meantime, stop by the store and see what else is available with the shape of the lake. Local is located on Karl's Korner Drive off Route 9N in Bolton Landing, near The Sagamore. Sara Pfau is credited with being the first to incorporate the shape of Lake George into jewelry. Pfau looked to capture the shape of "her" lake and have it with her all the time. She went from designing it for friends and family, to creating custom-designed pieces that are sold through her brother's store, Local.